If you've ever had a fantasy of living on a Maine island, this book is for you. It, s just icing on the cake it that is also happens to involve chocolate. Kate Shaffer and her husband moved to remote Isle au Haut nearly seven years ago. Once there, they were inspired to open a chocolate company and cafe featuring delicious chocolate and fresh Maine ingredients. Now their products are shipped all over the world and their island cafe is a true Maine destination. 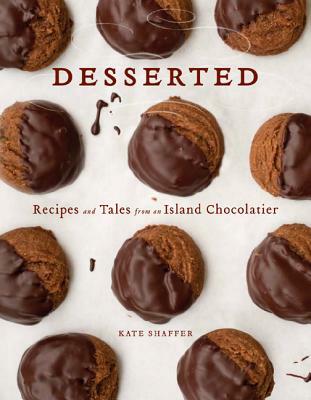 This armchair travel log and cookbook all in one describes the fantasies and fantastic realities of island life in Maine while featuring more than forty-five of Shaffer, s delicious recipes for her renowned chocolates and chocolate-inspired recipes from her seasonal cafe. Practical Magic by Alice Hoffman is such a pleasurable and magical read for anuone that likes stories about witches, love and loss of love, sister relationships, and the tiny moments that put us in awe. Such a fun journey with the Owens sisters and their loyalty for family and their hearts.